This question has crossed our minds at one point or another. There are wars, poverty and unspeakable acts that take place daily. The answer lies in the ocean. The ocean is an amazing place, filled with a vast array of creatures. It’s a place that can’t be explored by humans naturally since we’re designed for life on land. We breath air, we have legs to help us move about, hands to grasp and feed ourselves. We are not designed for life underwater. So in order to explore the oceans, we need equipment. Scuba divers have masks to help them see, a tank to help them breath, a suit to insulate them and flippers to propel them. You can’t explore the underwater world without it. Being created in God’s image refers to our spirit. We are created to be like God. He is a Spirit being and we were created to be like Him. God resides in Heaven and He created Earth for us to have dominion over it. How can a spirit live in a physical place? It needs the right equipment. It needs a suit. Just like how divers need specific equipment to survive underwater and astronauts need a space suit to work outside our atmosphere , our spirit needs a suit to be on earth. A suit is a material possession. It gets damaged. It degrades over time. You can take care of it to the best of your ability but eventually it will breakdown. That’s how the physical world works. We confuse the suit with the person in it. We are not our bodies, our body is a vessel. It’s just a suit to help us navigate and explore this world. 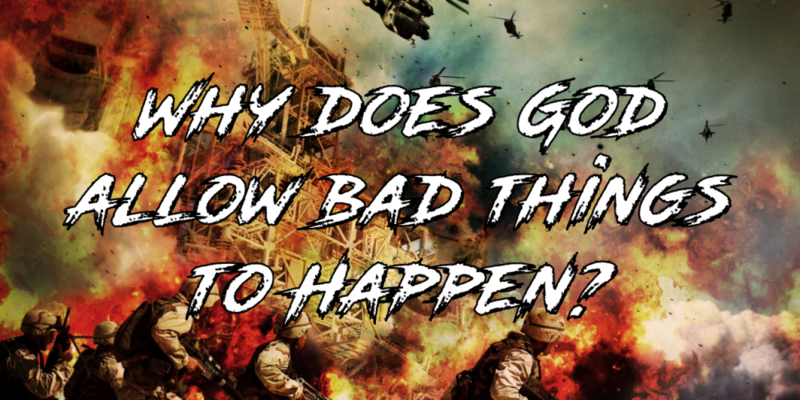 That’s why God allows bad things to happen. Your suit can be murdered, raped or broken but no one can harm you. No one can destroy the real you. The real you is an eternal spirit and that’s what matters to God. You matter to Him. As long as you belong to Him, you will be safe. No matter what life throws at a Christian, there’s always a happy ending. This realization changes everything. A funeral becomes a bon voyage celebration instead of sorrow. When we see a loved one off at the airport, it’s bitter sweet. We’re happy for them, yet we’ll miss them and look forward to seeing them again. That body in the coffin is not them, it’s just their suit that is left behind. The person’s existence hasn’t ended. We understand this logically. However there is still a disconnect between our head and our heart in that moment. It takes time but the grieving process is reduced by understanding that they merely transitioned into a new phase of life. They returned to HQ, otherwise known as heaven. I hope that this helped you and look forward to your feedback.